In case you haven't noticed, Winter is in full swing. Last week, during our epic polar vortex, I actually got into bed wearing pants. Now, for those who know me, that's a big 'no, no'. You'll hear me ask, 'what's the point of having nice sheets if you're going to wear pants in bed?'. But here's the thing, my sheets were cold and I couldn't handle getting into a cold bed. As a warm sleeper, I usually love the coolness of my cotton percale sheets. When I get a little warm, I just move my leg over to a cool spot and I remain cool and comfortable. Well, not this Winter! I jumped out of bed and changed my sheets immediately. As I was digging through my linen closet for a set of cotton sateen (my usual Winter go-to) there I spotted my linen sheets. Usually something I save for warm Summer nights when I can't bring myself to turn on the A/C. You see, linen loves moisture. It's nature's wicking fiber. It can absorb 20% of its weight in water before it will feel damp. Here's when I went to the next level of critical thinking (what can I say? we were closed for 2 days and I had the time). 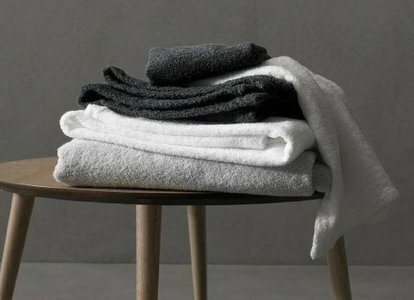 If linen can absorb that much moisture without feeling damp, the fiber must be hollow, and if it's hollow it must be insulating. I grabbed the linen sheets and remade my bed, removed my pants and crawled into bed. The sheets were soft and most importantly they felt warm. I'm so into these sheets right now; I'm starting to wonder, will I ever put my cotton sheets back on the bed? Stay tuned. Want to feel for yourself? Swing by!! In stock now. 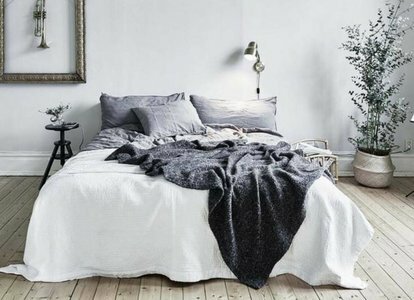 Or shop my favorite linen sheets from bed. You are so right! Linen is way better than flannel! We have been sleeping on it during the polar vortex and keeps us warm and not hot, like polyester flannel. It is an amazing fabric that works year round! You need to try it and you will be hooked!